Ben Watt | Ben Watt, Musician, singer-songwriter, writer, DJ. Get breaking news on releases, events, special offers and other stuff that might be of interest to you. Every newsletter will carry a clear unsubscribe option. Since my illness in 1992, where I lost a lot of my digestive system to surgery, I've been left with a restricted diet where I can't eat too much fat or oil, or too much whole food or fibre, as both put a lot of stress on my gut. As a consequence I eat lots of fish and fruit and salad and chicken. 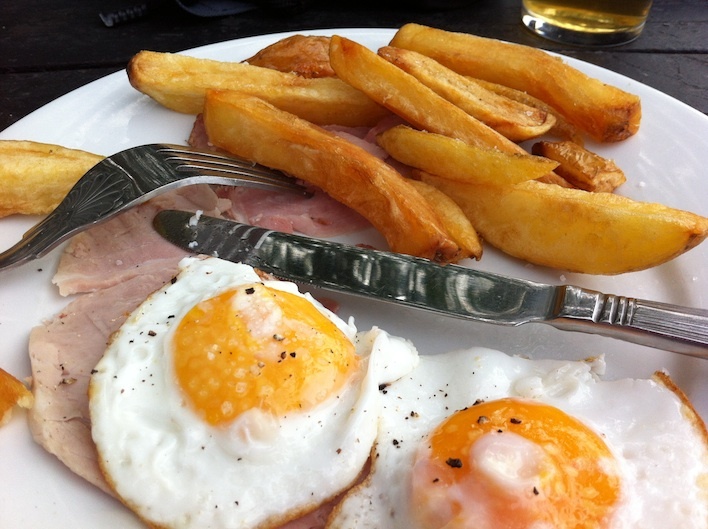 But if I have a weakness it is for a pint of beer and a plate of ham, egg and chips at lunchtime. I have worked out a way to make it work for me. The ale is fine. It is absorbed through the stomach, not the gut. As for the rest, I eat the white of the egg (no fat), the leanest of the ham (little fat) and a handful of chips (fattier, but still mainly potato). This particularly fine example was ordered at The Crown pub in Woolhope near Hereford, when I went camping with my then 11 year-old son last summer. We stayed in an empty hop-field belonging to an old friend, who leads a double life as a farmer and rock n' roll tour manager. In Indianapolis, three hours drive from Chicago, in the heart of the Mid-West, is one of the world's best record shops. 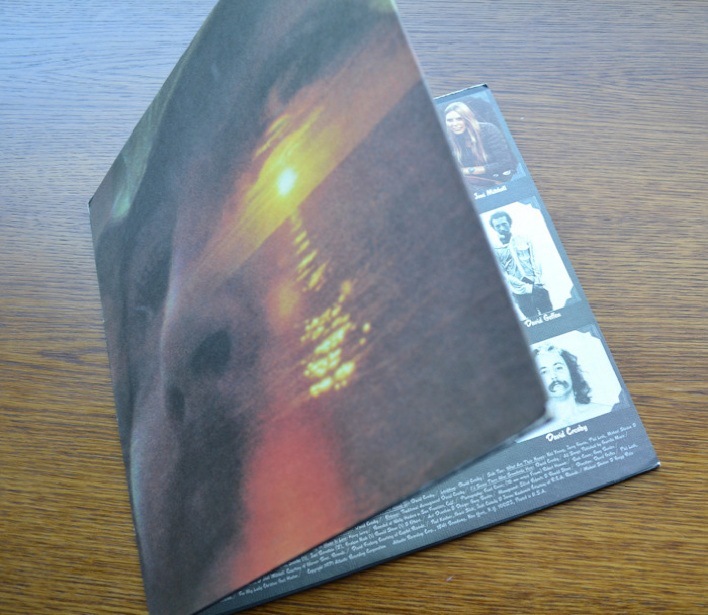 The name of the shop is Luna Music and it is run by my old pal, Todd Robinson. We first met backstage after an Everything But The Girl gig in Detroit in the early nineties and we have stayed friends ever since. New releases, old vinyl, books, Kidrobot dunnies, you name it, Todd will sort you out. In the spring on 2013 we rented a car together and drove the length of Pacific Coast Highway and hung out listening to music, playing tennis on public courts, and telling stories - an occasion my daughters now refer to as my 'man trip'. 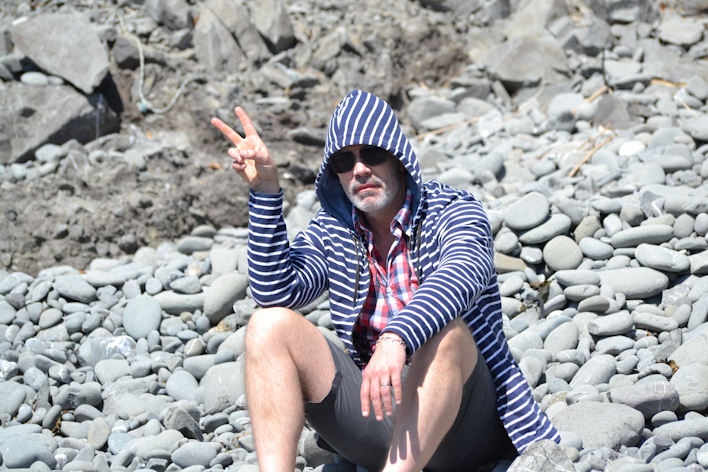 To emphasise just how manly and salt-swept we were I post this picture of Todd taken on a beach in Northern California. We moved house a couple of years ago. My old home studio where I did a lot of my club remixes used to be in the roofspace of our old house. It was nice up there but a little isolated, and I rarely invited anyone round to join me as they'd have to tramp up through the house and wake the kids or be unable to get a flightcase around a turn in the stairs. So when we moved we built a small studio in the garage. It had been extended under the garden into a workshop by the previous owner, doubling its length. We put a small control room at one end, and then this live room at the other. It is where I come down to write. 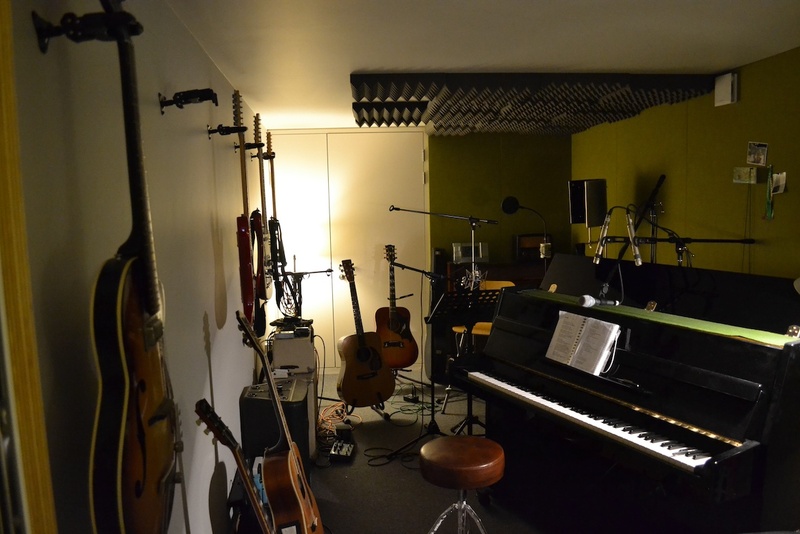 We also recorded most of Tracey's 2012 Christmas album down here, fitting the drums in under the foam ceiling in the corner. I keep my guitars out on the wall to encourage me to play them, and in this picture I have just recorded a demo version at the piano of a new song called 'Spring'.